The Israeli Military Forces handed 10 demolishing summons to residents in the town of Barta’a Al Sharqiyah, south of Jenin behind the apartheid wall. 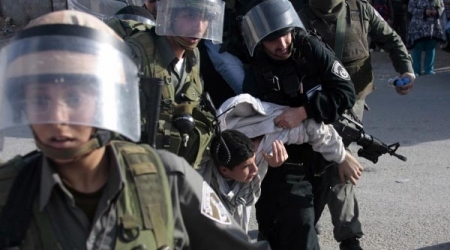 The forces broke into the town accompanied with Israeli civil organizing and management personnel who raided the citizens’ houses then handed them the demolishing summons on the pretext of building without permits. The demolishing summons were given to; Mohammed, Emad, Azzam, Saher, Ma’moon , and Mohammed Qabha, Abdul Raheem and Mansour Mas’ood, Aamer Khallouf and Aatef Amarneh. The number of demolishing summons given by the IMF reached 32, the citizens called on the humanitarian and international organizations to move urgently to stop the occupation aggressive campaign of forced displacement and ethnic cleansing in the border towns. The Israeli occupation authorities (IOA) decided to confiscate 10 dunums of agricultural lands in the town of Qusra, south of Nablus. Ghassan Daghlas, an official who monitors settlement activities in the northern West Bank, reported that the Israeli liaison department in Nablus on Tuesday officially notified its Palestinian counterpart of the confiscation order. 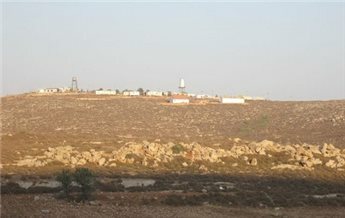 He added that the confiscated land is located between the village and the illegal Israeli settlement outpost of Esh Kodesh. Daghlas added that the Israeli forces told the Palestinian side that the farmers are not allowed to access the confiscated land along with an area of more than 500 dunums around it. "This means," he said, "they are confiscating 500 more dunums." Israeli authorities confiscated ten dunams and restricted access to 500 dunams of private agricultural Palestinian land in the village of Qusra south of Nablus on Tuesday, an official said. Ghassan Daghlas, a PA official who monitors settlement activities in the northern West Bank, told Ma'an that the Israeli liaison department in Nablus officially notified its Palestinian counterpart of the confiscation order. "This means," he said, "they are confiscating 500 more dunams." Israeli military authority Tuesday notified 10 residents of the village of Barta'a al-Sharqiyeh, south of Jenin, of its intention to demolish their homes under the pretext they were built without permission, according to a local official. 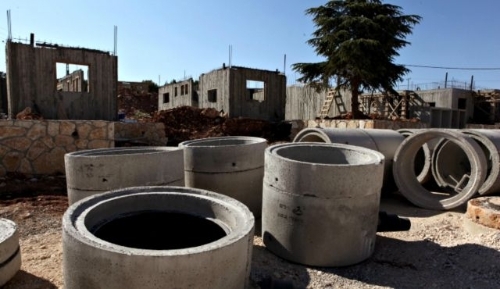 Head of the village council, Tawfiq Kabaha, told WAFA that Israeli forces along with staff from the military government’s planning department handed 10 residents notices for the demolition of their homes, some of which are still under construction while other are already inhabited. Ex Army general: No instructions to halt legislation. The Prawer Plan may not be shelved after all, reports +972. Just four days after the co-author of the Prawer law, Benny Begin, announced the halting of the bill which would see the internal displacement of some 40,000 Bedouin in the Negev, the former Israeli army general who heads the unit which is to implement the “relocation” told Haaretz, Monday, that he has not received any instructions to shelve the plan and is continuing efforts towards its implementation. Major General (res.) Doron Almog added that Begin can claim whatever he wants, but that the bill is still in the legislative process. According to Israel Radio, Minister of Agriculture Yair Shamir (son of the late Prime Minister Yitzhak Shamir and a member of right-wing Yisrael Beiteinu party) is taking over the responsibility of overseeing the Prawer Plan from Benny Begin. x-general overseeing implementation of bill says he has not received any instructions to halt legislation process. The Prawer Plan may not be shelved after all. Just four days after the co-author of the proposed law, Benny Begin, announced the halting of the bill that would see the internal displacement of some 40,000 Bedouin in the Negev, the former IDF general who heads the unit which is to implement the “relocation” told Haaretz Monday that he has not received any instructions to shelve the plan and is continuing efforts towards its implementation. Major General (res.) Doron Almog added that Begin can claim whatever he wants, but that bill is still in the legislative process. UPDATE, 6:05 P.M.: Haaretz reports that although the Prime Minister’s Office has remained mum since Begin announced the shelving of the plan – officials in the PMO confirmed Monday a statement attributed to Netanyahu, expressing the need to proceed with finding a solution to this important issue for all residents of the Negev. Officials in the Knesset added that it is preferable to continue making changes to current bill rather than tossing it and starting afresh. Alternative Information Center (AIC) - The Israeli government has officially announced that parliamental discussions in the Knesset concerning the Prawer plan will be halted. This is to say that the government has backed away from attempts to pass the "Prawer law", in their displacement of Arab residents from the Naqab (Negev). Defeat of the Prawer law doesn't necessarily bring tidings of peace to the Naqab. The government will continue its war of attrition on Arab citizens in the Naqab through the courts where, because of a series of unjust laws, the state always wins. In the drawer and in stages of implementation is an entire series of plans to "judaise the Naqab". It is expected that, following defeat of the law, home demolitions will increase. In light of the defeat, the threats are increasing against the Bedouins. The Bedouins will not be offered compensation of land, but only land for rent; in time, they are threatening, they will move to deport people from their villages. What doesn't go with force will go with more force. Hithabrut-Tarabut reports: "About this must be said: one whose stick of oppression was broken in a demonstration should not attempt to wave an even bigger stick. The threat is indeed real: the state truly knows how to create suffering. But if the only thing they are offering is dispossession, without decorations - they should not expect less resistance to that garnered by the Prawer law." Hithabrut-Tarabut is a joint Arab-Jewish social movement seeking to address the most burning issue – the division in Israeli oppositional politics between struggles against the occupation and struggles against inequality and for social justice within Israel itself. 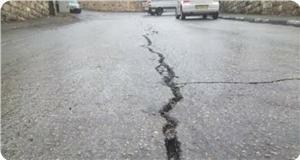 Serious land subsidence incidents were reported in Silwan town, south of occupied Jerusalem, the Wadi Hilwe information center said. The center said in a press release on Saturday that heavy snow and rainfall softened up land, leading to some roads caving in, which revealed the extent of damage inflicted on the holy city as a result of the incessant Israeli occupation authority’s diggings and excavations. 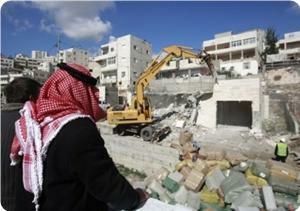 It said that the most serious land collapse occurred in Hawsh Abu Tayih in the town, which includes more than 40 houses. Dozens of Jerusalemites live in those houses, mostly children, the center warned. The center also pointed out that subsidence was seen along the main road of Wadi Hilwe trekked by all residents of Silwan, adding that cracks were seen in a number of buildings in the same area. The center said that the land is sinking more rapidly in Wadi Hilwe where the IOA is concentrating its diggings underneath it to complete the construction of a network of tunnels. Cracks, erosions and landslides expanded on Wednesday in main street of Wadi Hilweh after it rained for several hours on the city of Jerusalem and due to the Israeli excavations in the area. Locals of Wadi Hilweh explained that the cracks and erosions occurred in the main street of Wadi Hilweh near “Al-Ein” mosque. It is the same area that suffered collapses last week and the Jerusalem municipality claimed that it made the necessary repairs and claimed that the cracks occurred because of the sewer extensions; the locals pointed out that landslide occurred in several areas of the street. there is a tunnel that connects Ein Silwan with the courtyards of Dung Gate underneath the area where the cracks and landslide occurred and they plan to connect it with the Wailing Wall. The residents explained that a large amount of soil has been removed from the street without making any repairs or renovations. The information center of Wadi Hilwa district in occupied Jerusalem on Thursday reported the occurrence of some fissures and cave-ins on Wadi Hilwa street, south of the Aqsa Mosque, as a result of the ongoing Israeli diggings. Wadi Hilwa street is the main road connecting between the center of Jerusalem and the neighborhoods of Silwan district, and it is considered the closest to the Aqsa Mosque. More than once, this road has seen subsidence incidents and fissures, and even the walls of many Palestinian houses in the area sustained cracks because of the tunnel diggings carried out underground by the Israeli occupation authority and settlement groups. 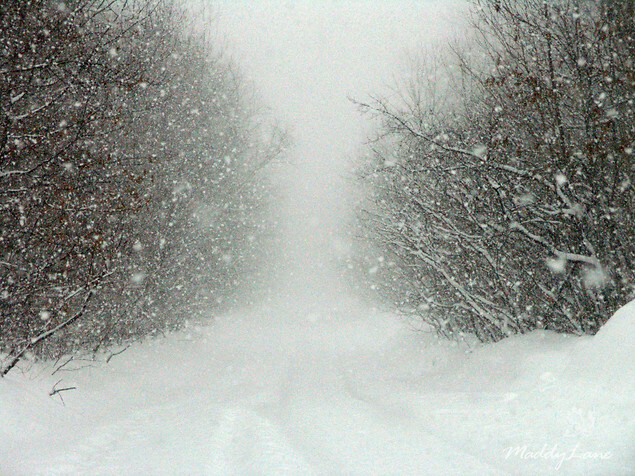 The center pointed that the heavy rains widened the cave-ins and fissures that happened to the road. Residents from the neighborhood also said that the same area had suffered similar incidents last week and the Israeli municipal office claimed then that the damage caused by a leakage in the sanitation network underground and that they made the needed repairs. 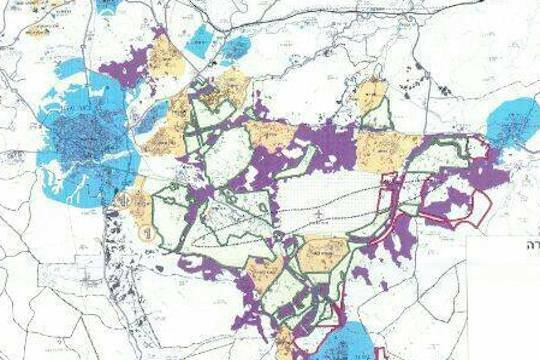 The residents affirmed that there a tunnel being built by the Israeli antiquities authority and Gilad settlement society beneath their neighborhood, adding that this tunnel reaches Al-Maghariba Gate area. Some 50 years after Israeli authorities gave them the land, the Bedouin of Umm al-Heiran village face eviction to make way for two modern towns. Located in the Negev desert, the village is home to some 150 Palestinian Bedouin families -- 1,000 inhabitants -- who live in small, concrete buildings, relying on solar panels for electricity and raising livestock. But more than half a century of calling Umm al-Heiran home now looks set to end. On Nov. 10, the Israeli cabinet approved the establishment of two new communities in the Negev -- Kesif and Hiran -- that will almost exclusively cater to Jews. In order to make way for the two new towns, the Bedouin village, which is currently unrecognized by the authorities, must first be removed. "In order to build Hiran, (Israel) will accelerate the demolition of the unrecognized village of Umm al-Heiran in the Negev and evict its residents," said Suhad Bishara, a lawyer for the Arab-Israeli rights group Adalah. The village is on some 1,700 acres of land an Israeli military governor gave to the Bedouin after the tribe of Abu al-Qiyaan was displaced in the 1950s. Israeli plans to remove the village were first raised 10 years ago, and since then, the residents have been fighting a long legal battle with Adalah's help. The Supreme Court has for now frozen demolition orders on Umm al-Heiran's structures pending the filing by Dec. 15 of additional documents by Adalah. But should the court rule against them, their case will be lost. "I was born here, it's my home and it's all I know," said Abd al-Rahman Abu al-Qiyaan, a 49-year-old father of more than a dozen children. "We can't fight the state if it decides to evict us, but we just have to wait and see what happens," he told AFP. "We built this village and developed its agriculture. Where will our children go?" The villagers say they have no problem with Jewish Israelis moving into the area -- as long as they themselves are not forced to leave. "This is a racist decision -- why can Jews live here but not me?" Abu al-Qiyaan asked. The government says Umm al-Heiran's residents are to be moved to the nearby Bedouin village of Hura, which is already home to some 300 families. Ofir Gendelman, a spokesman for Prime Minister Benjamin Netanyahu, said Israel would provide "basic services" to Umm al-Heiran's residents, but that illegal construction would not be tolerated. 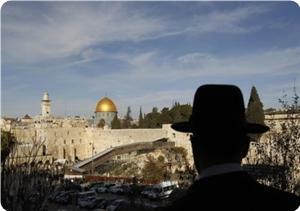 "There is no citizen in Israel who can build a house without a permit," Gendelman told AFP. "We say to the Bedouins: we are with you in the provision of basic services, we are with you to resolve the land issue, but building must be done legally." 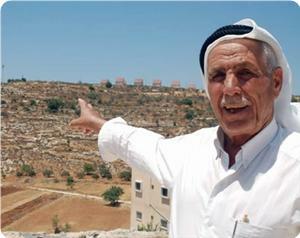 Ghiyahib Abu al-Qiyaan, 73, remembers the day when Israeli forces moved the family onto the land which would become Umm al-Heiran in 1956, eight years after the creation of the Israeli state. "I was about 16 years old. Israeli patrols came and evicted us from our homes (in nearby Zubala) to make way for a kibbutz, and put us here without shelter, in the desert," she said. "But we built and we've made it our home with the land they gave us." Bishara said that while the military's actions were documented at the time, they were never enshrined in an official agreement. Israel's legal position "is simply one of 'we gave them the land, and we can take it away,'" she said. Israel is trying to regulate the ownership of land inhabited by Bedouins in the Negev, in many instances since before the foundation of the state in 1948. 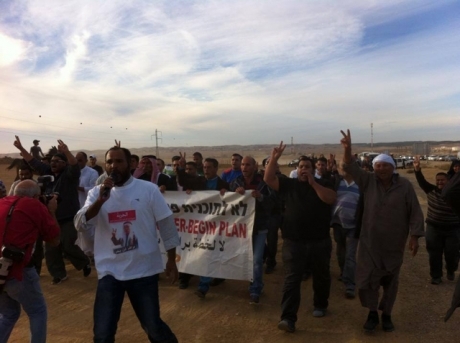 On Thursday, an official announced that the government would drop another plan related to Negev Bedouins, the so-called Prawer Plan, that would have seen some 40 unrecognized Bedouin villages in the same area demolished and the evacuation of between 30,000 and 40,000 people. Around 260,000 Bedouin live in Israel, more than half of them in unrecognized villages without utilities. Many live in extreme poverty. The Israeli government has decided to discard a controversial draft law to relocate thousands of Bedouin residents from the Negev desert, the Ma'an News Agency has reported. Benny Begin, an official who was charged with implementing the infamous "Prawer Plan", said that he has recommended to Israeli Prime Minister Benjamin Netanyahu to "end the debate on the law", in the Knesset. "The prime minister accepted this proposal", he announced at a Tel Aviv press conference, days after the plan emerged, as the coalition overseeing the project was divided on proposed legislation. The news comes less than two weeks following worldwide protests held in resistance to the plan, during which police and soldiers clashed repeatedly with demonstrators in Israel, culminating in dozens of injuries and arrests across Israel and the West Bank. According to the Association for Civil Rights in Israel, the plan would have forcibly evicted nearly 40,000 Bedouins, destroying their communal and social fabric, and condemning them to a future of poverty and unemployment. Other sources estimate the number to be closer to 70, 000. The Israeli government has decided to discard a controversial draft law to relocate thousands of Bedouin residents from the Negev desert, the Ma'an News Agency has reported. 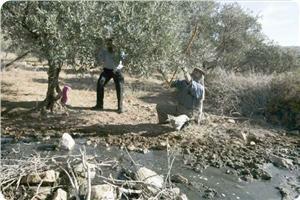 The decision does not imply official recognition of the dozens of villages in the Negev. The decision does not mean, in any way, an end to the suffering of the Bedouin community in the Negev, and does not bring them any closer to being recognized as equal citizens, or just citizens. It does not mean the recognition of dozens of villages and communities which existed before Israel was established in the historic land of Palestine in 1948. Therefore, Israel will continue to deprive them of basic services, such as infrastructure, water, sewage and electricity. The Bedouins in the Negev will still be denied the right to build, buy or sell homes and property and, of course, will still be denied the right to vote or run in local government elections. The Jewish Voice for Peace has reported that many Bedouin villages and homes are still facing the threat of demolition, including the Al-Araqeeb village that was demolished more than 60 times. The United Nations has denounced Israel for demolition of Palestinian homes and displacement of its residents in the occupied West Bank. 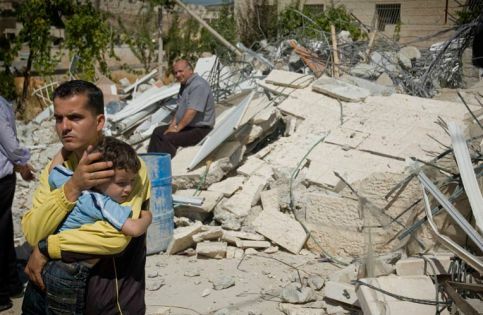 In a statement on Wednesday, UN Humanitarian Coordinator James Rawley condemned the demolition of 30 Palestinian properties in the West Bank, saying it displaced some families for the second time in less than two weeks. 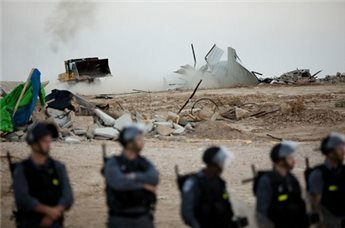 "I am concerned about the destruction of Palestinian structures in the Jordan Valley yesterday (Tuesday)," Rawley said, adding, "The demolitions resulted in the displacement of 41 people, including 24 children, and affected another 20. Both refugee and non-refugee families were affected." "Some of the families were displaced for the second time this month and a number of donor-funded structures were among those demolished." "Demolitions often occur to facilitate the expansion of illegal Israeli settlements, with 60 percent of demolitions occurring in Palestinian communities close to settlement zones," 36 rights groups and charities, including Oxfam, Amnesty International, and Human Rights Watch, said in a joint statement last week. Students in dorms at the University of Michigan were awakened to eviction notices on their doors, which said that they needed to vacate their rooms by December 13th, at which point the rooms would be demolished. The notices also said that the charge for the demolition would be applied to their student accounts. Fortunately for the students, the notices turned out to be a hoax, posted on their doors by members of Students Allied for Freedom and Equality, or SAFE. The action was meant to bring attention to the plight of Palestinians, who regularly face demolition of their homes by Israeli military authorities. The Palestinians whose homes are demolished are then charged for the cost of demolition. The students who received the eviction notices say they were shaken up by the experience, and relieved to find out that it was a hoax. However, the student organizers with the SAFE coalition say they hope actions like this will help bring attention to the plight of the Palestinian people. They say that, in the past month alone, 15,000 Palestinian residents of East Jerusalem received eviction notices. 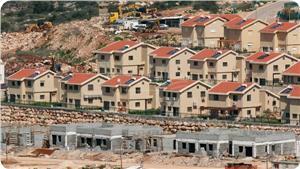 The homes of those who received the notices are set to be destroyed by Israeli authorities to make way for new housing units owned by the Israeli government. The Palestinians evicted from their homes are not allowed to live in the new properties, and many remain homeless after the demolition of their homes.